You'll be the envy of the lunchroom with this sandwich bursting with pizza flavours. Spread 2 bread slices with Miracle Whip; spread remaining bread slices with pizza sauce. To serve as a warm sandwich, place sandwich on microwaveable plate. Microwave, 1 sandwich at a time, on HIGH 20 to 30 sec. or just until warmed. 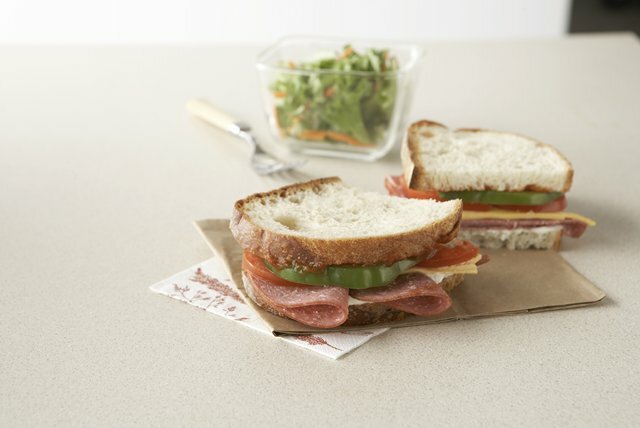 Sandwiches can be made ahead of time. Wrap individually in plastic wrap. Refrigerate up to 24 hours before serving.